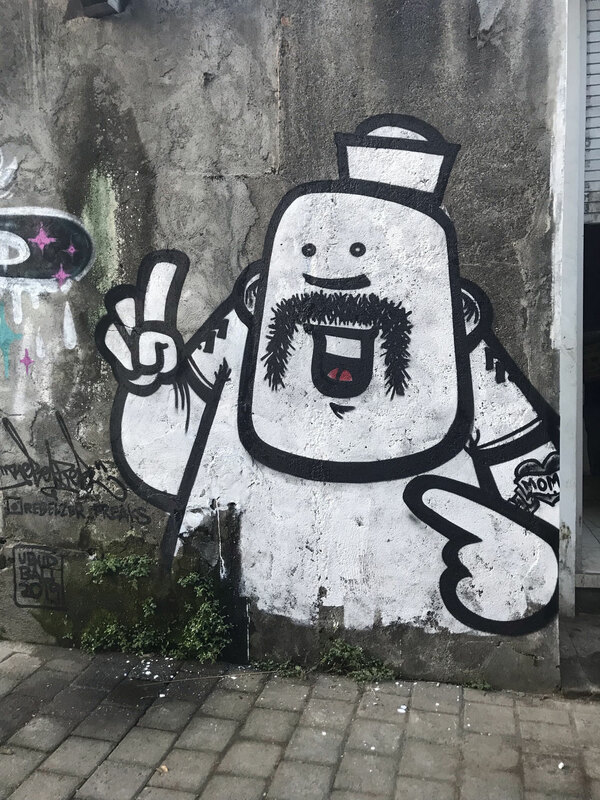 Indonesische Streetart! 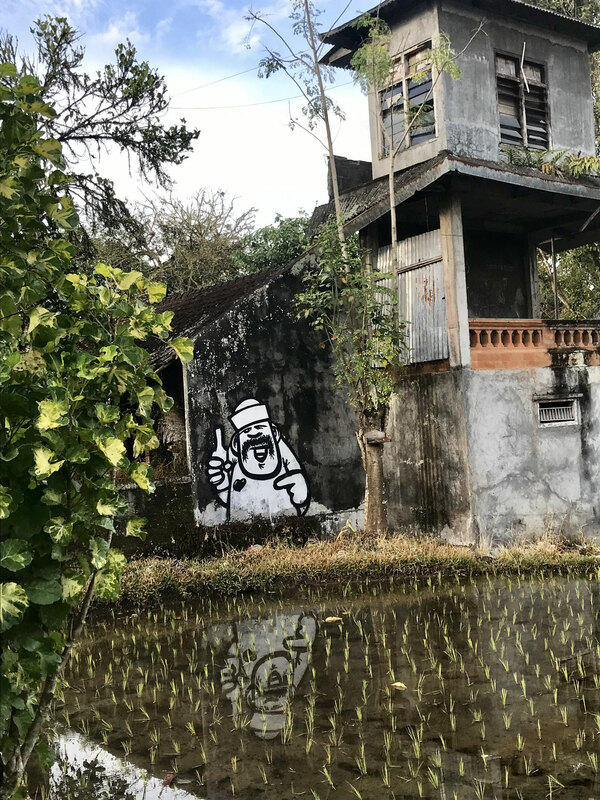 Rebelzer, still on the run - diesmal auf Bali - in Ubud! Ein schöner Maltag mit Tika - aus der Ukraine! Wer sein neues Tshirt toll findet: du findest dies im Shop! In den Reisfeldern von Ubud, Bali. Freaks all over the World! 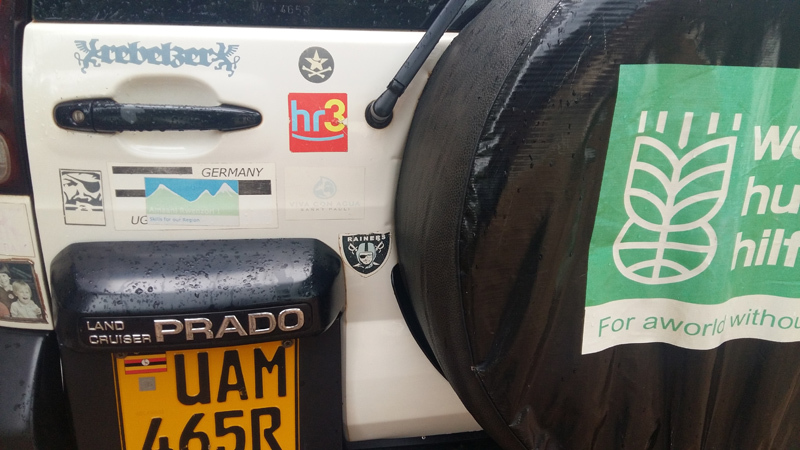 20.10.2017 Welt Hunger Hilfe Car at Kampala Uganda, with special Rebelzer Vinyl Quality Stickers since 2011. 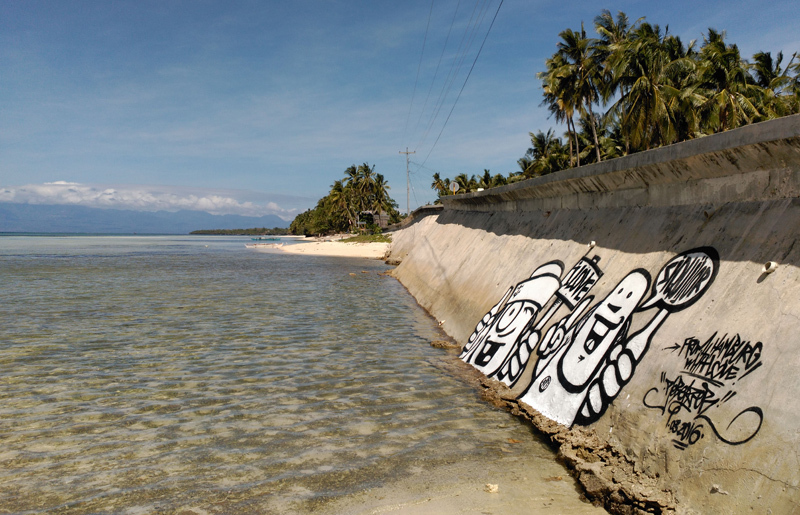 13.03.2016 I painted the first Streetart at the Island Siquijor in the Philippines! By high tide they are under the water level - thats fun ! I love Siquijor! From Hamburg with Love! 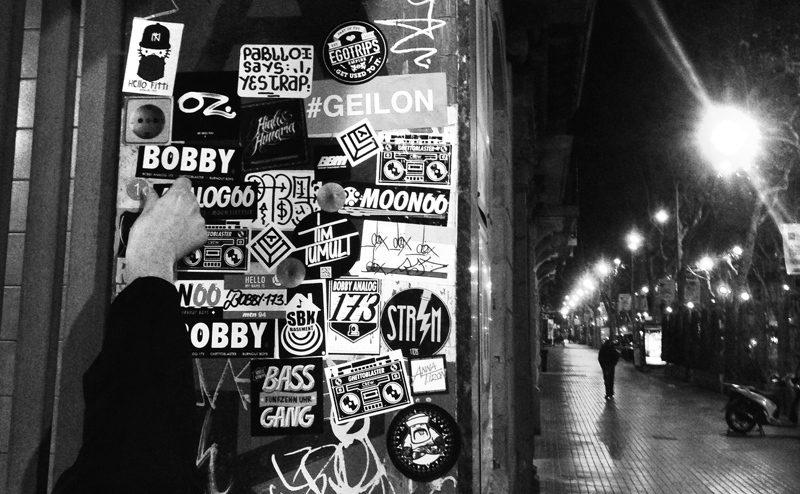 02.03.2015 Sticker Combo in Barcelona, Spain! Thanks to my bro Bobby Analog ! 30.03.2014 Still remember the good old times. Thanks for the photos to: txmx and cmdprix - i found them in the net! And big up for my men´s: Holzweg and Sinep! 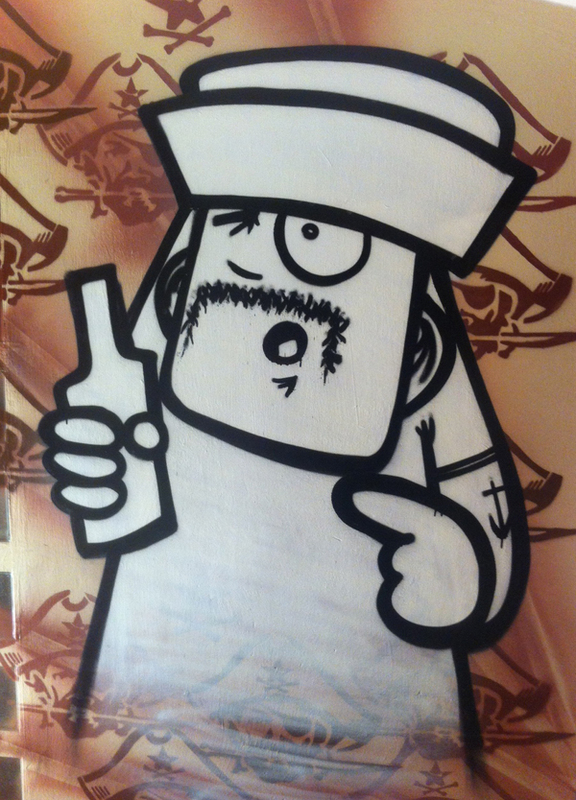 25.04.2013 A cooperation between Los Piratos and Rebelzer - Amphore, Sankt Pauli, Hamburg. 17.09.2012 The Ultra Sankt Pauli Club had his Birthday this year - 2002 - 2012 - so 10 years Ultras: gratulation! From Ramba Zamba, Low bros, Paco and Rebelzer. 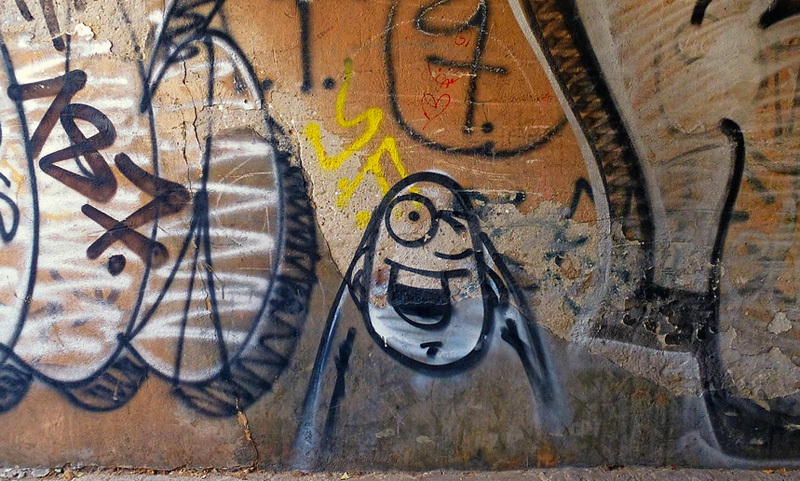 02.05.2012 New Streetart out now - with a new medium: floorgrafics.